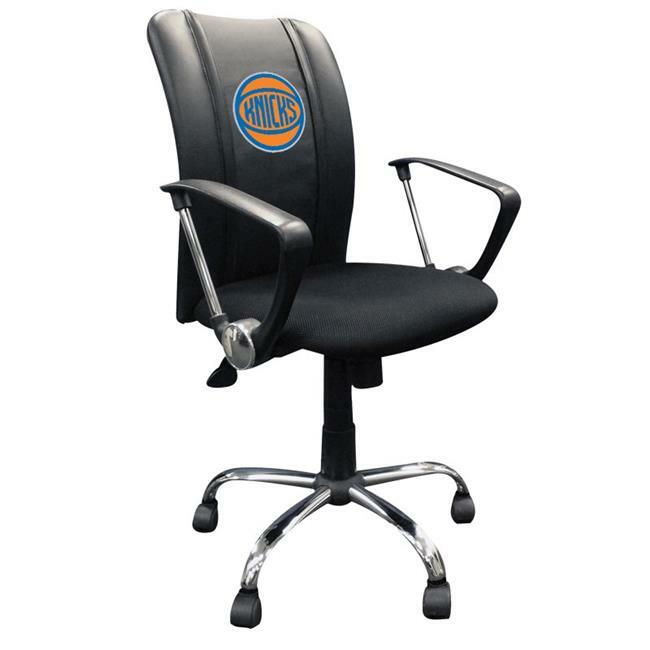 The New York Knicks NBA Curve Task Chair with Secondary Logo Panel is a must for any fans who want to support the Knicks both at home or at the office. Designed with a synthetic leather ergonomic curved back and breathable mesh seat bottom for maximum comfort. Best of all the logo zips on and off for endless customization.